Carused.jp Blog Home » Professional Car Knowledge » Importing a Car to Europe? Here’s What You Need to Know About Homologation. Importing a Car to Europe? Here’s What You Need to Know About Homologation. Whenever people think about European automotive engineering, they always equate it to premium quality and reliability. You can expect nothing less than the best when you buy a Porsche, Mercedes Benz or a BMW. However, it is common knowledge that these vehicles can be expensive. Not everyone has the luxury to purchase a European car. These days, many Europeans are becoming more interested in JDM vehicles and Japan car auctions. After all, these cars are renowned for reliable performance and durability. JDM cars like the Subaru Impreza, Mitsubishi Lancer, Nissan Skyline became even more popular in Europe after the free-trade deal between the EU and Japan was struck. The deal got rid of the 10% tariffs on Japanese vehicles and the 3% rate on car parts. So, if you are in Europe and you want to import left-hand drive vehicles from Japan, now is the best time to do so. To find even more affordable JDM cars like the Nissan Skyline, Subaru Impreza, and more, click the button below and access our online auctions! Indeed, there are many good reasons why Europeans should opt to import used Japanese vehicles. For one, you will have the freedom to choose from a range of interesting cars that you would otherwise never get to own if you only focused on the local market. When you shop outside Europe, you may find some of the most desirable and rarest models, including the Nissan Skyline. That said, you should ensure that you carefully study the different import requirements. For instance, when importing vehicles into Europe, you need to subject them to a homologation procedure. In this post, we will discuss what are the certifications, approvals, and documents involved in the process. What is the Homologation Procedure? Homologation is the process which requires imported vehicles to comply with safety and other regulations before they can be approved for registration in Europe. If the car is imported from outside the EU, it must be subjected to the homologation procedure, ensuring that it is certified by an officially recognized laboratory or the manufacturer itself. Basically, the vehicle must be tested for compliance before it can be registered in a particular European country. Needless to say, it is a complicated and lengthy process. It is also worth noting that the details and documentation required by authorities vary from one country to another. So, it is best that you visit the customs website of the country you are planning to import the JDM car to. However, we will discuss the certifications and documents generally required across the countries in the EU. Since you are planning to drive your Japanese vehicle on European roads, you need to keep it in roadworthy condition. 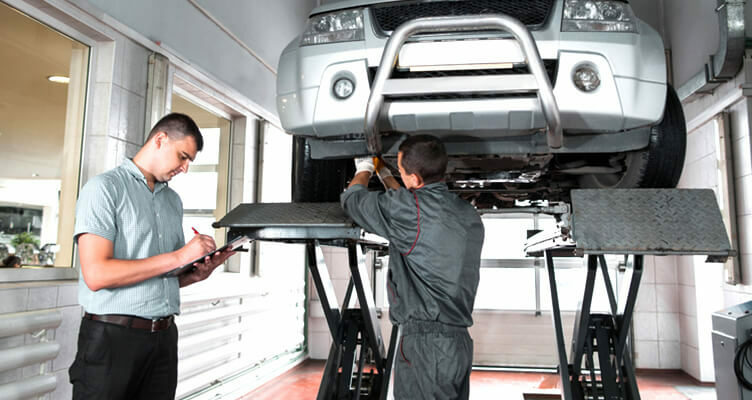 Your car must be tested for roadworthiness four years after registration, then every two years thereafter. However, the frequency of roadworthiness testing may vary significantly from one EU country to another. If you plan on moving to a different EU country and you want to re-register your vehicle there, you need to give the roadworthiness proof to the authorities that you acquired from your former country of residence. You should visibly display the proof of roadworthiness on your car, showcasing the test results, the vehicle’s identity, and the date of the next test. Even when you pass the ownership of the car to another person, the roadworthiness certificate will still be considered as valid. Once you register your Japanese used car in the EU, you will get a certificate of registration from the authorities. It will likely have one or two parts, depending on the national rules in the country. If you plan on moving to another country in the EU, the automotive certificate of registration must be recognized by that nation. If you plan on re-registering your vehicle in a different EU country, you need to submit the original certificate of registration to the respective authorities. If the document has two parts, you need to submit both parts. It is worth noting that some EU countries require additional paperwork before you can re-register your vehicle. So, it is best that you check the regulations in that country. Whenever you are travelling by car to another EU country, you must carry your car registration certificate for you. If the document has two parts, the first part will suffice. In most cases, you will be asked to provide proof that you are the vehicle’s legal owner. If you are going to use the invoice as a proof of purchase, the document must clearly indicate the VAT number of the car dealer. Do not worry if you are going to buy from a Japan car auction via Carused.jp. We will provide you with the appropriate proof of ownership for your vehicle. Once you register your JDM car, the authorities in your country will check if you have paid the VAT accordingly. Keep in mind that the VAT rules for used cars are different from what applies to new vehicles. It is worth noting that you can use the EC certificate of conformity in all EU countries. Once you have a valid EC certificate, authorities in your country do not need additional technical documentation. On the other hand, if your vehicle has been modified after leaving the factory, you will need to get a new approval. It is worth noting that the national certificate of conformity is only recognized as valid in the country of issue. Usually, it is used for trucks, vans, buses, trailers, and custom-built cars manufactured before May 2009. Needless to say, if you’re planning to import a vintage vehicle, you will need a national certificate of conformity as well. Indeed, the homologation procedure is a long and complicated process. On the other hand, if you purchase your used vehicle from Carused.jp, we will provide you with the assistance you need to successfully import your car. If you have questions about importing a used vehicle to Europe, contact us now!